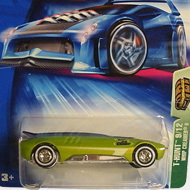 8/12 from the 2004 Treasure Hunt series. 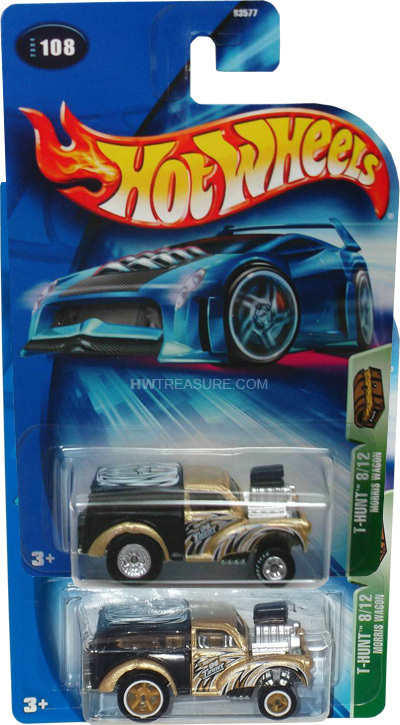 The black and metalflake gold truck features black, white, and gold graphics on the sides and top, as well as the TH logo on the sides. It has tinted windows, silver interior, and an unpainted Malaysia base. The Morris Wagon has two wheel variations. The first has gold co-molded wheels. 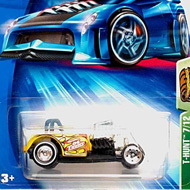 The second and rarer version has Real Rider wheels with chrome rims and Goodyear tires on the front.